Accelerate-IT is a full service business solutions firm that specializes in helping expand the reach and scale of companies. Accelerate-IT is a powerhouse of tools specifically forged for startups in the IT industry. The company is made up of experienced CEOs, Investors, Strategists and Marketers. Visit website. The ANTARA Group consists of senior-level IT Infrastructure experts with extensive experience helping businesses fuel their growth through the strategic and cost-effective use of data center services (wholesale / retail, managed services, cloud computing). The firm, founded by growth driver and turnaround architect, Tim Caulfield, offers a portfolio of solutions tailored to the needs of Private Equity VCs, Start-ups, SMBs and Fortune 1000 Enterprise companies. Visit Website. Bird Rock Systems is a company that has been built on a foundation of exceptional customer service, technology and long-term partnership. Bird Rock Systems excels at deploying the latest enterprise class technologies including: security, routing, switching, traffic management, WAN acceleration, wireless, IP communications, storage area networking, performance computing and virtualization. We typically begin a new client engagement by completing a network or security assessment. Our many loyal customers represent enterprise business, casino, university, Fortune 500 and government organizations requiring ‘Best in Class’ secure technical solutions. Brainlike, Inc. delivers computing solutions for reducing streams of sensor data to nuggets of valuable information, “at the edge.” Applications include generating effective alerts from environmental sensor data under changing conditions and reducing massive amounts of imagery to important highlights. Our field programmable products can run on cell phones, smart radios, and specialized processors. Our analysts can help you find the best sensor processing solutions to meet your monitoring needs. Visit Website. Brier and Thorn works with companies to offer the knowledge, insight, and guidance they need to move forward in their industry with the knowledge that their position has been built unassailable against an APT attack and that their intellectual property is secure. Brier and Thorn counsels clients on their key strategic issues, leveraging our deep industry expertise and using analytical rigor to help them make informed decisions more quickly and solve their toughest and most critical cyber security problems. Visit Website. BrightCurrent is the nation’s leading retail sales platform for clean energy solutions. They believe education is the catalyst to clean energy adoption. BrightCurrent manages direct to consumer clean energy marketing campaigns at major retailers around the country. BrightCurrent also believe deeply in our employees. That’s They we provide significant training, competitive hourly pay and a clear and direct pathway to job growth. BrightCurrent is passionate about their mission of providing the most simple pathway to affordable clean energy. BroadDesk Business Development is a San Diego consulting firm for early stage ventures. We offer sales and business development services for start-ups that are looking to sell their product or services in the large enterprise market space under structures of wholesale, retail, distributorships, partnerships, or affiliates.BroadDesk is a pay-for-performance sales company. We take a percentage of a deal or sale only upon the successful completion of a transaction. BroadDesk handles the most critical aspects of new business allowing a start-up and early stage company to acquire customers, generate revenue and enjoy growth faster and for less money then developing an internal team to perform the same functions. Visit Website. Founded in 2002, CentrexIT is San Diego’s leader in IT management. Our locally-based technology professionals provide outsourced IT service, support, security and leadership for small and medium-sized businesses in the greater San Diego area. CentrexIT’s successful buildIT™, manageIT™, cloudIT™, and growIT™ model incorporates best-in-class solutions to establish stable, scalable and secure environments. CentrexIT leadership incorporates technology strategy and planning (CIO services). Visit Website. CGI Group Inc. is a multinational information technology (IT) consulting, systems integration, outsourcing, and solutions company headquartered in Montreal, Canada. It was founded in 1976 by Serge Godin and André Imbeau. In August 2012, CGI acquired the British IT services company Logica for $2.7 billion Canadian, making it the fifth-largest independent IT services provider in the world. CGI employs approximately 68,000 people in over 400 offices across 40 countries. Visit Website. Citracado Capital works with companies to provide investment and financial guidance. CinemaViva can help you meet your marketing goals through using top quality gear that coupled with creative video artistry will engage your audience and drive traffic to your business. Whether you are a start-up company or an established brand, we can accommodate all your visual needs. Director Horacio Jones offers a personal touch with all the bells and whistles of a full range HD Video Production services company. Located in central San Diego and serving all of Southern California, we offer a number of cutting edge services such as 4K video recording, aerial video and live switching. We also offer a number of turn-key Video Production packages that take all the guess-work out of the video production process. Additionally, CinemaViva offers a wide range of a la carte digital video services. Visit Website. DualSpark is a professional services firm that specializes in automating and streamlining business functionality in the AWS Cloud to allow companies to scale at speed. DualSpark was formed to address the need for deep engineering skills when moving to AWS, to optimize workloads to take advantage of infrastructure capabilities and to align teams for long-term success. 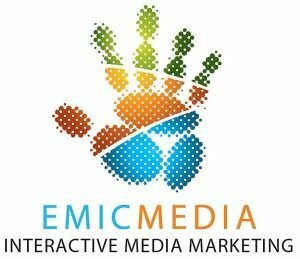 Emic Media is a Media Consultancy firm specializing in software platform integration, digital media, social engineering and PR. Key objectives: drive new revenues utilizing digital media platforms and develop social media brand identity both internally and externally. 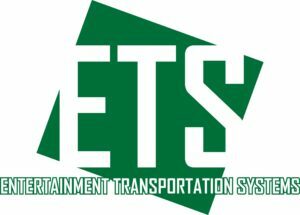 Entertainment Transportation Systems (ETS) is an alternative fixed route private mass transit system focused on the needs and wants of the millennial generation. ETS operates late nights and early mornings when San Diego entertainment is at its peak. ETS is affordable, reliable and technically savvy. Headquartered in Chicago, Exelon does business in 48 states, the District of Columbia and Canada. The company is one of the largest competitive U.S. power generators, with approximately 35,000 megawatts of owned capacity comprising one of the nation’s cleanest and lowest-cost power generation fleets. Its Constellation business unit provides energy products and services to approximately 100,000 business and public sector customers and more than one million residential customers. Exelon’s utilities deliver electricity and natural gas to more than 7.8 million utility customers in central Maryland (BGE), northern Illinois (ComEd) and southeastern Pennsylvania (PECO). Greymar Associates is a full service design and real estate development company that specializes in the design and construction of energy efficient, state of the art buildings that incorporate alternative factory based pre-crafted construction technology. Over a 30 year period, Greymar has participated in projects throughout the United States, Japan and Europe. 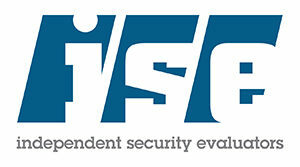 Independent Security Evaluators (ISE) is an independent security firm in Baltimore, Maryland dedicated to aggressive defense strategies through advanced science. 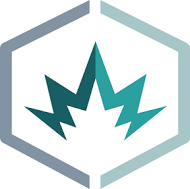 Our elite team of analysts and developers use scientific approaches to improve our clients’ overall security posture, protect digital assets, harden existing technologies, secure infrastructures, and work with development teams to ensure product security before deployment. Leavitt Communications is a San Diego County-based marketing communications firm representing an extensive array of public/private sector and non-profit clients both nationwide and overseas. Established in 1991, Leavitt Communications also has partnerships in place with marketing communications firms in Brazil, China, France, India and the United Kingdom. Leavitt Communications was founded by Neal Leavitt, a former city editor, reporter and copy editor. Neal continues to contribute to various technology publications and has two ongoing blogs with IEEE Computing Now and iMediaConnection. The company’s group of experienced professionals understands the strategic difference between the development of relationships and plans, and the visible presentation of solutions and information. The difference is critical to the efficient and effective success for both startup ventures and established companies. We keep clients informed of the issues that are of interest to affected constituents, whether it’s the media, investors, elected officials or the public. Visit Website. 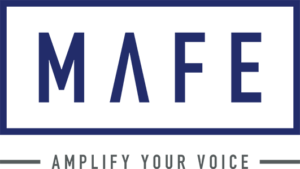 MaFe, LLC is an independently owned and operated Marketing and Operations Consulting Firm that provides strategic, measurable, quality and innovative solutions for high tech, cybersecurity and IoT companies. MaFe seeks to redefine the way organizations prepare, organize and take their solutions to market. Visit Website. Merging Streams is an Internet based company founded in Colorado established to develop and support Internet based businesses. The selection and implementation of the income streams that we develop applies the most current internet marketing procedures and methods to provide some level of assurance that the venture will be successful and profitable. With state of the art technology, My Freight Options (MFO) allows interaction directly with the carrier of their choice without any middle man or broker, which saves the customer money while getting real time information from the carrier that actually has their shipment on their own truck. Customers are also given the ability to rate the carriers they chose which will allow information to be passed to the next customer as well as hold the carrier accountable for their service. Founded in 1996, Palmchip pioneered the single chip SoC Technology. The company’s most recent innovation is a real-time cloud based security solution for Internet of Things (IoT). Today more than billion consumer devices on the market use Palmchip’s SoC and software technology. As the next-generation security company, Palo Alto Networks is leading a new era in cybersecurity by safely enabling all applications and preventing advanced threats from achieving their objectives for tens of thousands of organizations around the world. 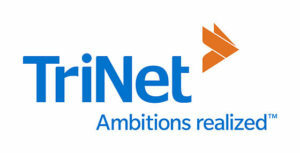 They are one of the fastest growing security companies in the market because of their deep expertise, commitment to innovation, and game-changing security platform focused on bringing an end to the era of breaches by uniquely integrating our Next-Generation Firewall, Advanced Endpoint Protection, and Threat Intelligence Cloud. Because these capabilities are natively built into the Palo Alto Networks’ platform and designed to deliver highly automated preventative measures against cyberthreats, they ensure superior security to legacy point technologies such as stateful inspection firewalls, UTMs, or endpoint security products. With their platform, organizations can confidently pursue a digital-first strategy as they implement key technology initiatives within the cloud and increasingly mobile networks, while maintaining complete visibility and control, to protect their most valued data assets and critical control systems. The Pell Center for International Relations and Public Policy at Salve Regina is a multidisciplinary research center focused at the intersection of politics, policies and ideas. Dedicated to honoring Sen. Claiborne Pell’s legacy, the center promotes American engagement in the world, effective government at home and civic participation by all Americans. Premierehire’s founders, with more than 20 years of experience, have a solid track record of successfully meeting and exceeding clients’ staffing and recruiting needs. Our team of professionals make up a broad range of specialties and combined we bring over 90 years of industry experience. Premierehire’s Purpose & Passion is to create mutually rewarding career placements for the individual and the organization; helping each party find the right fit and follow a specialized SmartStart hiring and on-boarding process to maximize individual potential, team synergy, organizational return, and employee retention. Randstad US is a wholly owned subsidiary of Randstad Holding nv, a $22.9 billion global provider of HR services. As the third largest staffing organization in the United States, Randstad provides temporary, temporary-to-hire and permanent placement services each week to over 100,000 people through its network of more than 900 branches and client-dedicated locations. Employing over 5,300 recruiting experts, the company is a top provider of outsourcing, staffing, consulting and projects and workforce solutions within the areas of Engineering, Finance and Accounting, Healthcare, Human Resources, IT, Legal, Manufacturing & Logistics, Office & Administration, Pharma and Sales & Marketing. Visit website. 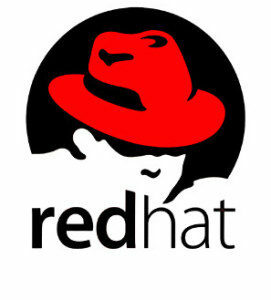 Red Hat, Inc. (Red Hat), incorporated on September 17, 1998, is a global provider of open source software solutions, using a community-powered approach to develop and offer reliable and high-performing operating system, virtualization, middleware, storage and cloud technologies. Red Hat employs an open source software development model that uses the collective input, resources and knowledge of a global community of contributors who collaborate to develop, maintain and enhance software. The Company distributes its software offerings under open source licenses that permit access to the software’s human-readable source code. It provides its software offerings primarily under annual or multi-year subscriptions. A subscription generally entitles a customer to new versions of the software, security updates, fixes, functionality enhancements and upgrades to the technology. The reTech Labs’ mission is to incubate and curate innovative retail and e-commerce solutions and products. reTech believes in technology which makes consumers’ life better and focused on incubating products and ideas most beneficial for consumers, retailers and brands. They believe that innovative technology products should make consumer experience memorable, simple and fun. At ScaleMatrix, status-quo is simply not in our vocabulary. Our teams embody the spirit of innovation, which is evident every time you step into one of our next-generation data centers. 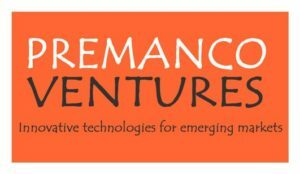 With a proven track record and clients and partners spanning nearly every vertical, we are driven by the challenge to stay ahead of the fluid and ever-changing technology landscape. Visit website. 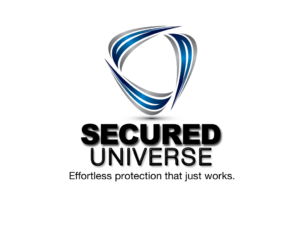 Secured Universe is building a new kind of cyber security firm focused on protecting personal data and communications on mobile devices. It all started with cake bake on. 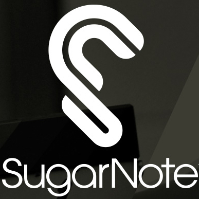 Mathias Pomplitz and Ace Baker, the two founders of Sugar Note have met in the sandbox. In Hamburg it was, sometime in the early 80s. Whether they have mutually taken away the shovels, nobody knows, but if so, this small dispute has long been settled. No wonder it’s already more than 30 years ago. Since then the two go through thick and thin, know each other inside out and trust 100 percent. 100? Oh, 300. At least. And even though Ace now lives in San Diego and Mathias has remained in Hamburg, nothing separates the two – except perhaps 8000 km crow flies. The two have decided to put together something on the legs. If you like, Sugar note is actually incurred in the sandbox. What we help our customers accomplish is simple: make money more efficiently. The computers in our data centers act like traders by playing thousands of trading scenarios every single day. Much like IBM’s Watson, our computers are constantly learning which market relationships have predictive outcomes. Our software identifies what is working in a down market or in an up market, and suggests exactly what to buy or short and when to exit. Our innovative new Trade Ideas Channel window is like a Tivo for your portfolio; providing you an ever growing menu of investment and trading layout choices. Become the CEO of your own Financial Empire with Trade Ideas. Visit Website. Originally called the Canadian Venture Exchange (CDNX), this was a result of the merger of the Vancouver and Alberta stock exchanges. The goal of TSX Venture Exchange is to provide venture companies with effective access to capital while protecting investors. In Finnish, the word tulevaisuus means “future,” and luova means “creative.” We are working to create the future through the innovation and ingenuity of information technology. infrastructure and training the workforce to solve the world’s biggest problems. That’s why they work toward bringing big data to healthcare, connecting people via technology, and enabling the creativity of today’s youth through STEM (science, technology, engineering, and mathematics) initiatives. Tuliva was formed in 2010 with a focus on cloud architecture and design. They soon realized that organizations needed qualified and skilled IT engineers as much as they needed IT products and services. Tuliva Academy and Tuliva Bridgeways were formed to meet these needs, creating the comprehensive IT-as-a-service solution that Tuliva is today. Those values are reflected in the University’s rich Catholic intellectual tradition. 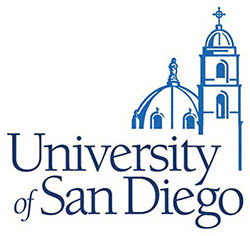 USD’s community of scholars are committed to educating the whole person—intellectually, physically, spiritually, emotionally, socially and culturally. The university provides a character-building education that fosters independent thought, innovation, integrity, analytical thinking, and an open-minded and collaborative world view. USCOMTRUST securely embeds machine learning into your systems architecture to extract only the most relevant data to gain contextual meaning from your databases. Our security project engineers manage your complex computing environments with innovative and cost-effective network centric solutions.